Just in for the holidays. 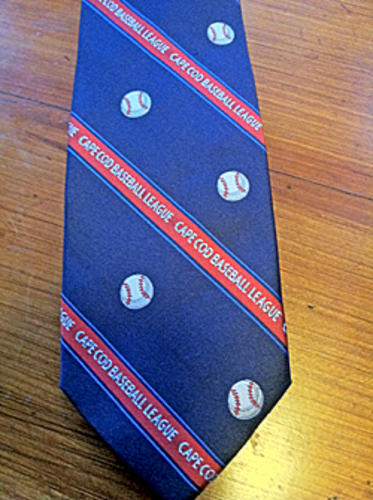 Cape Cod Baseball League Men's Tie, made of woven polyester, navy with baseballs. Label on inside says: "Cape Cod Baseball League Established in 1885". Tie is $25 + $12 shipping and handling. Gift wrapped in tie box + additional $5.